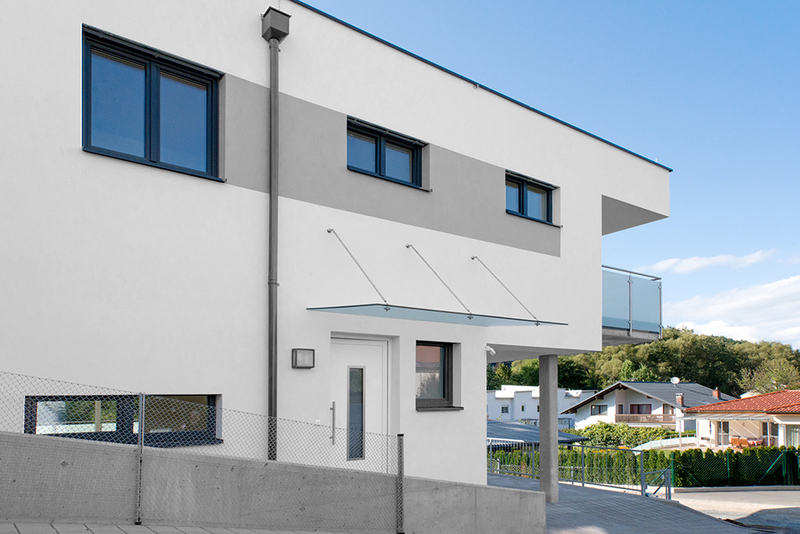 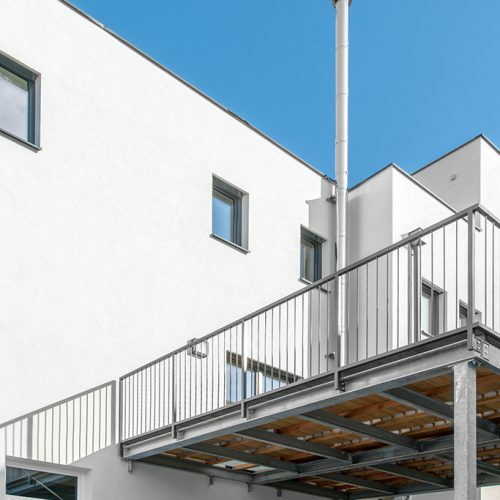 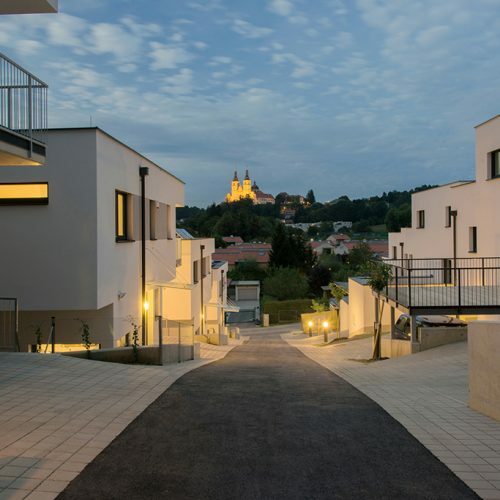 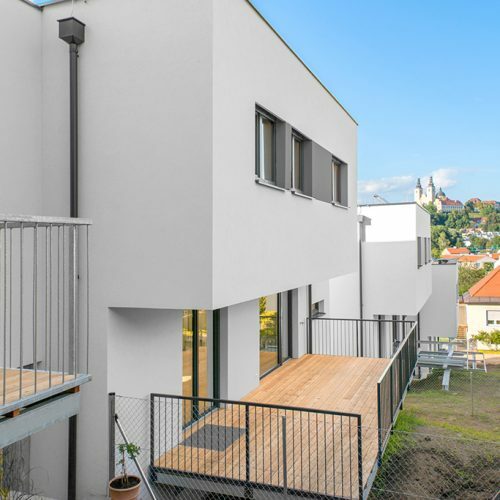 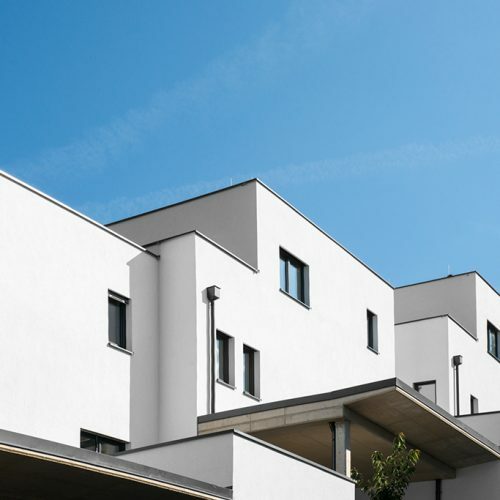 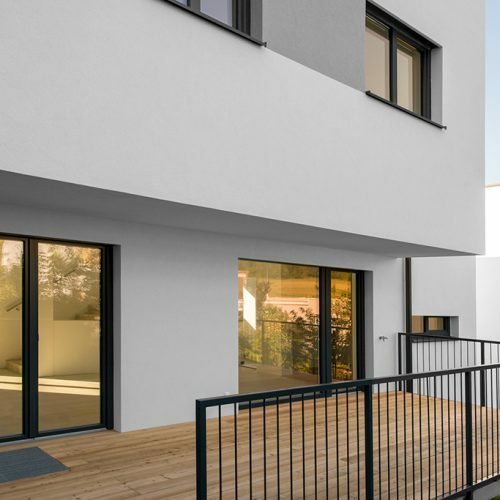 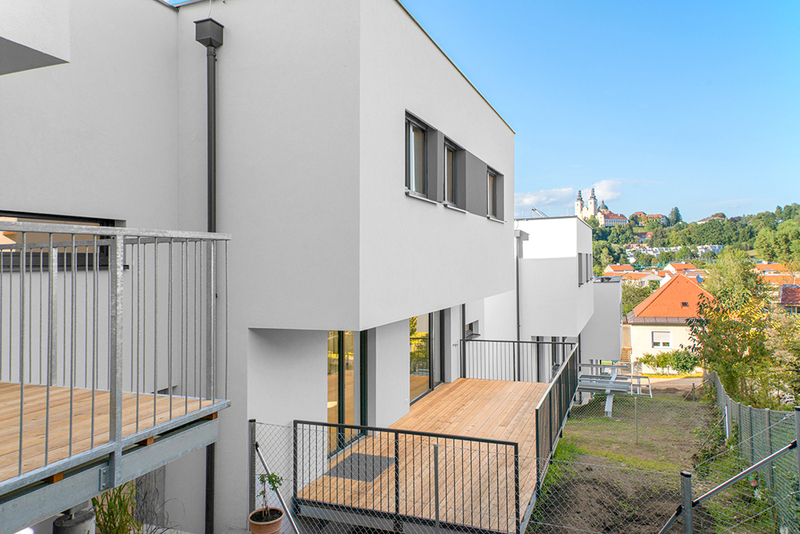 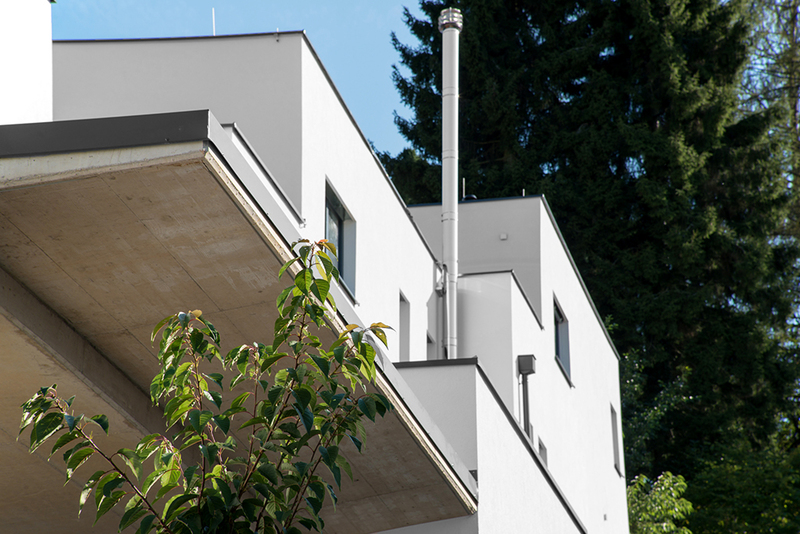 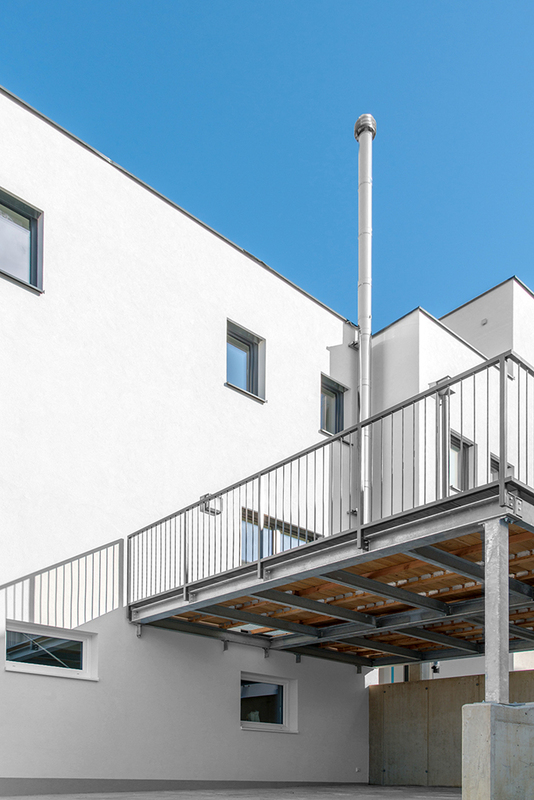 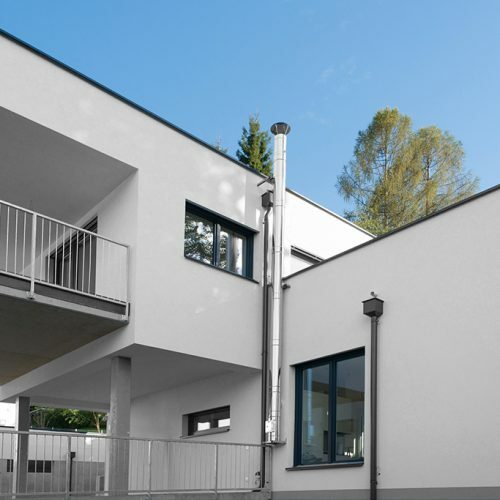 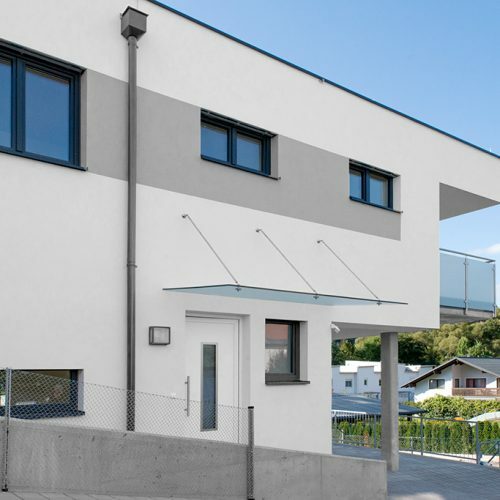 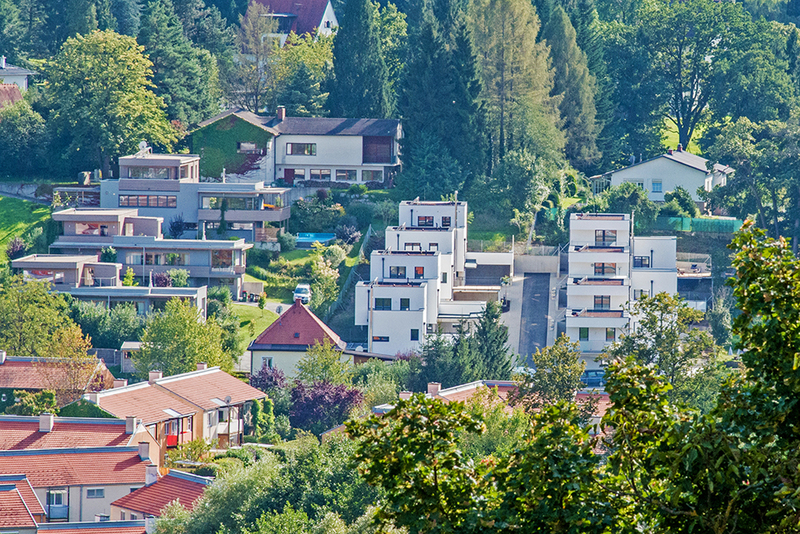 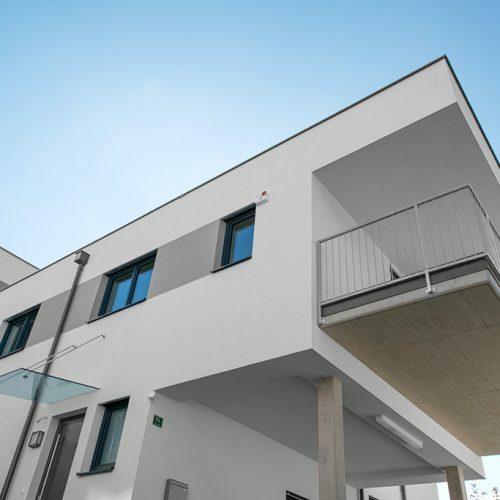 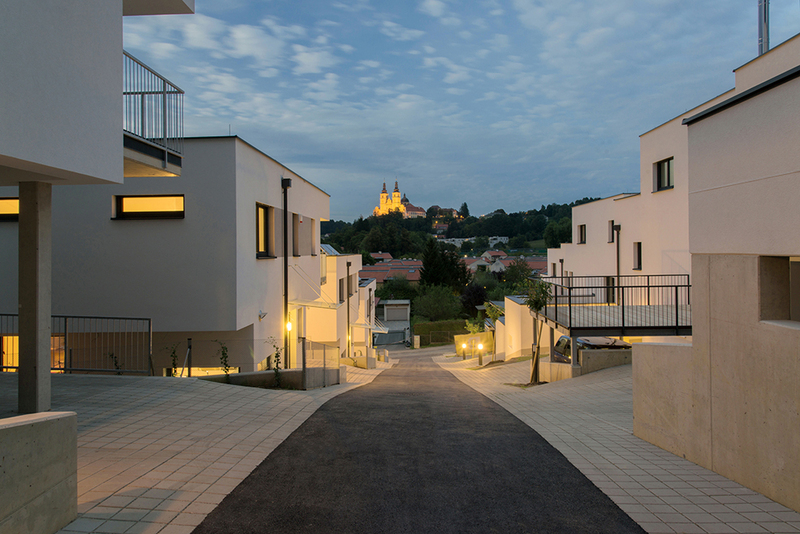 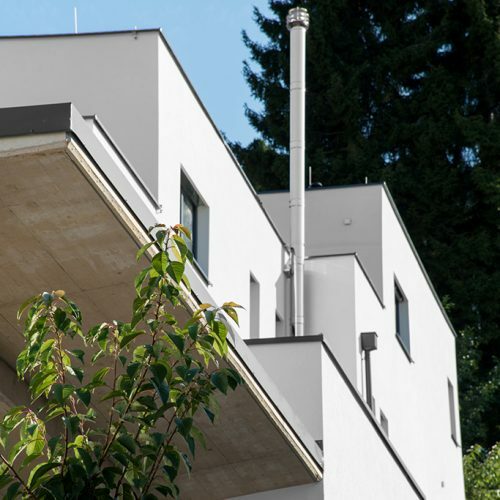 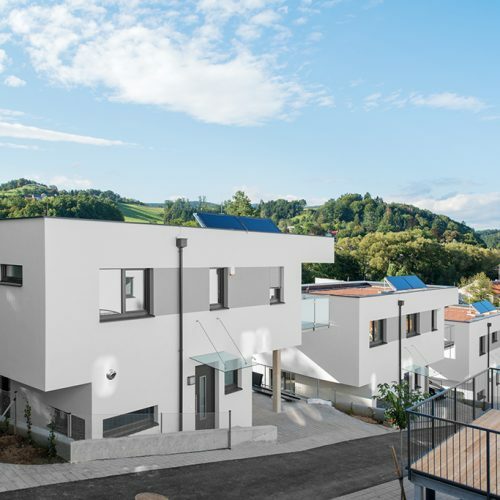 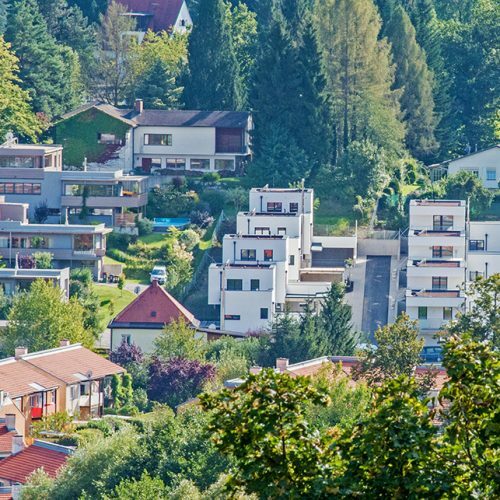 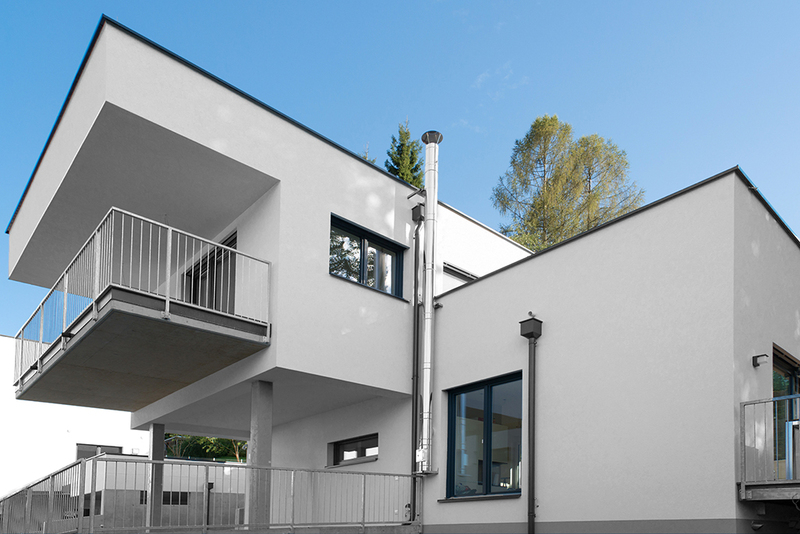 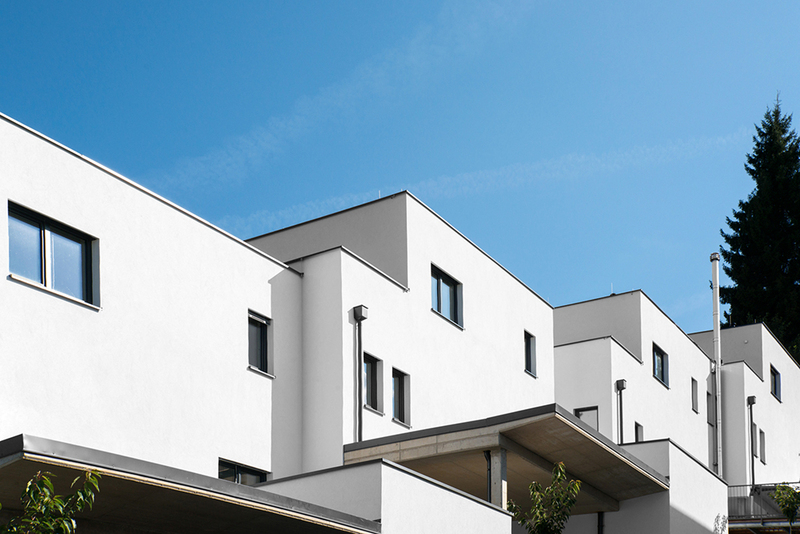 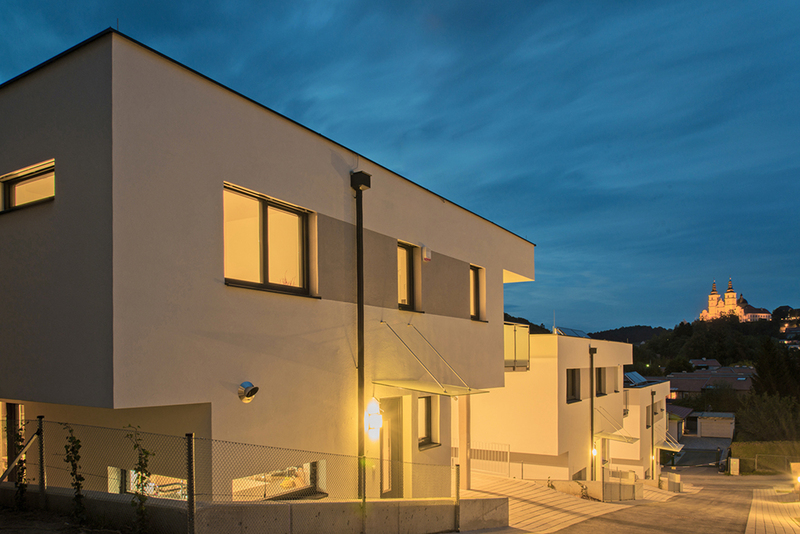 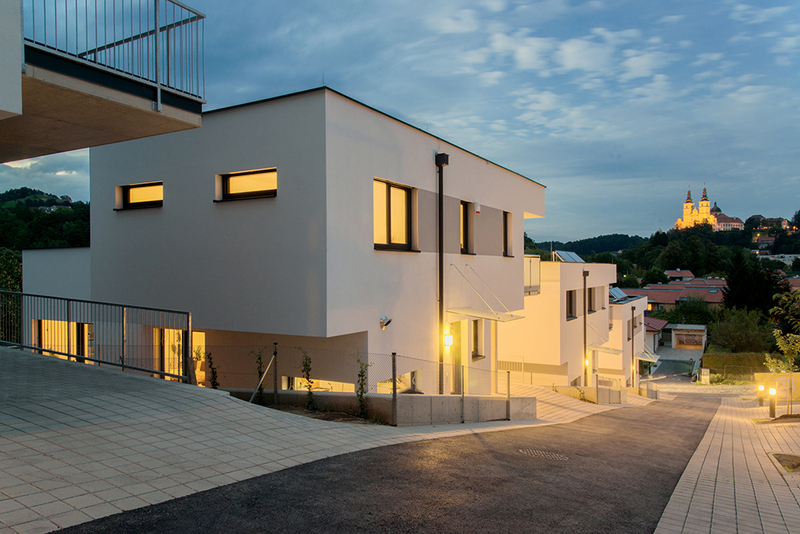 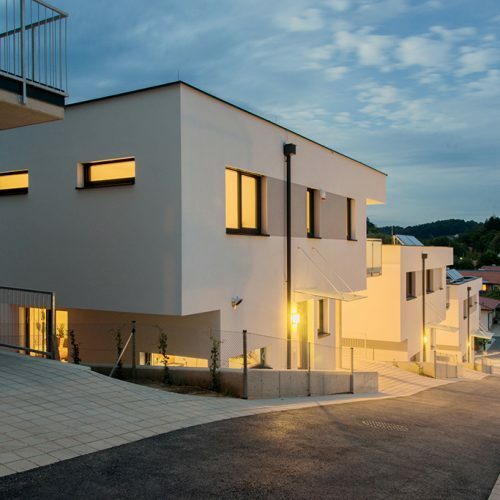 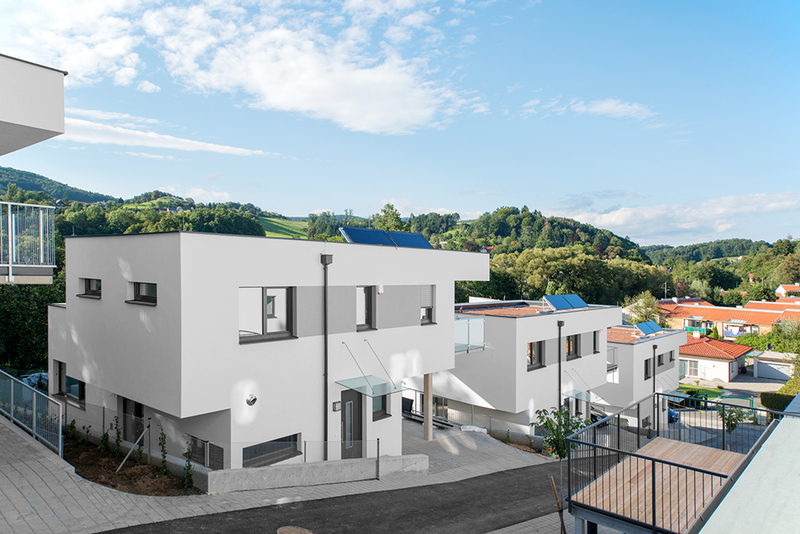 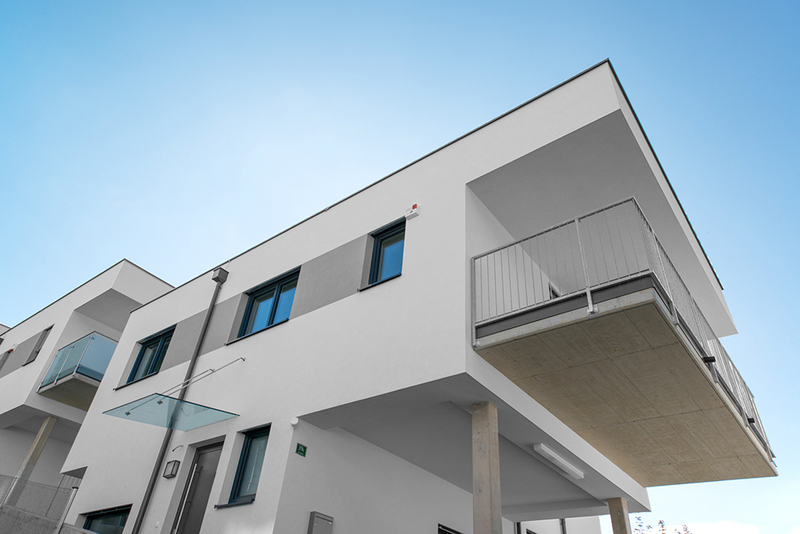 The Teichhof village consists of 8 houses, brilliantly planned and built in the most-desired district of Mariatrost in Graz. 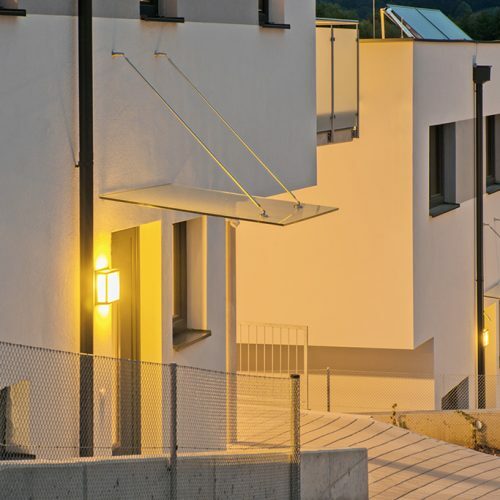 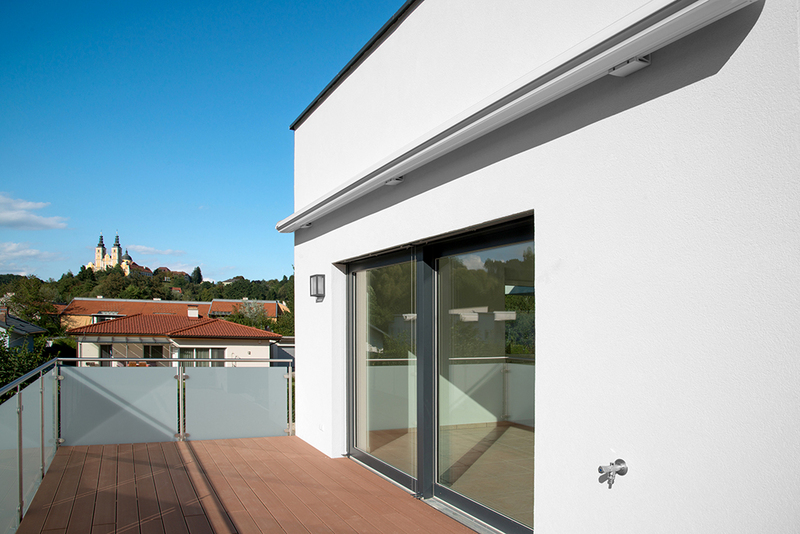 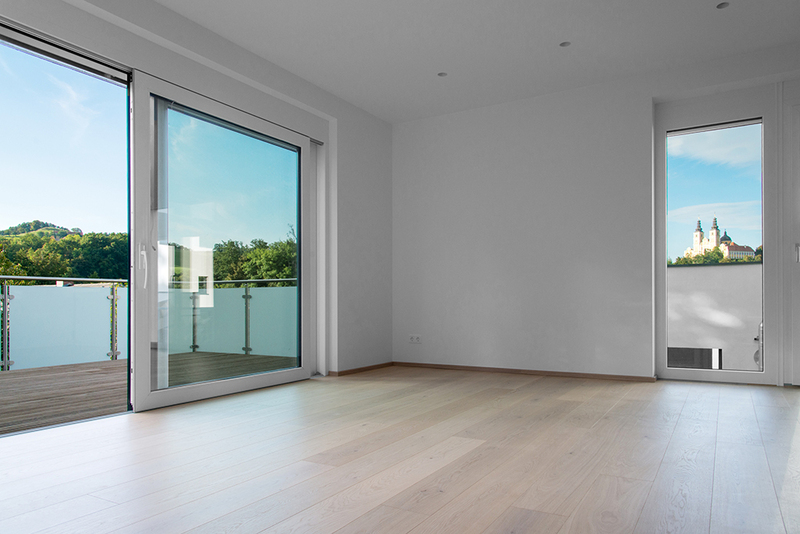 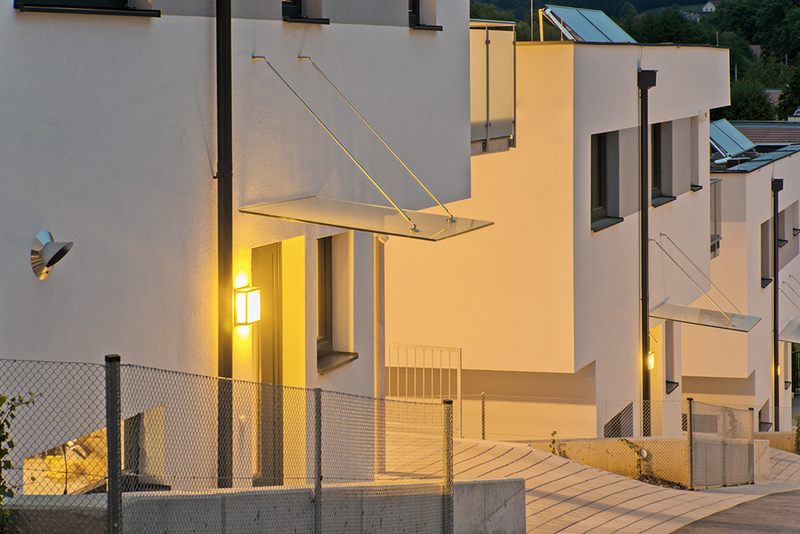 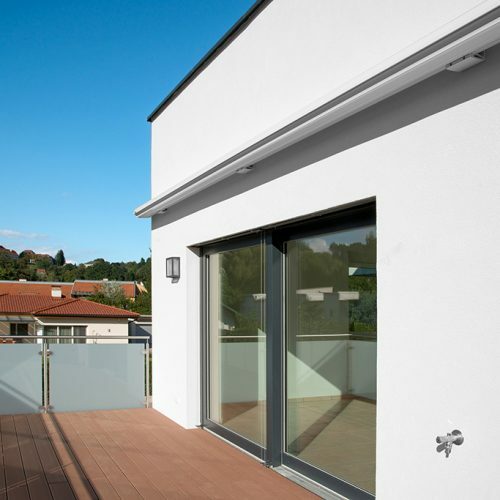 All homes are designed to ensure their residents a maximum of sunshine hours on their personal, generous terraces. 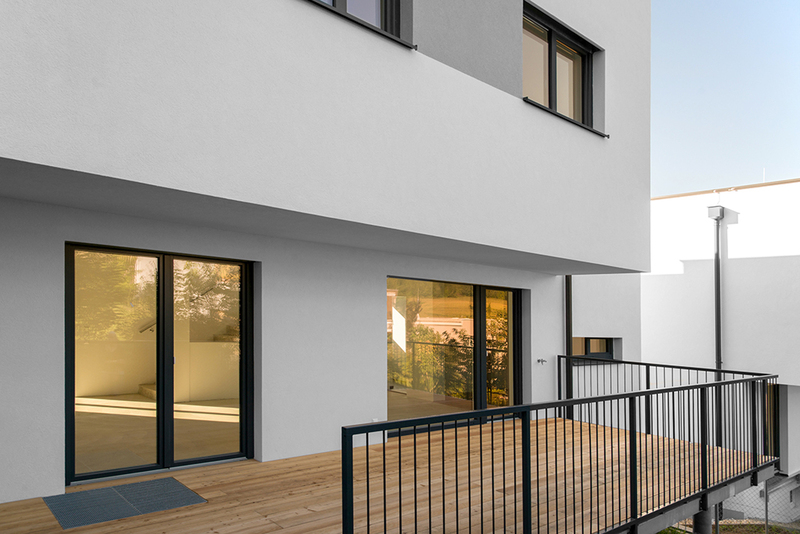 The interlocking arrangement of the components and the vertical separation of the buildings guarantee undisturbed privacy. 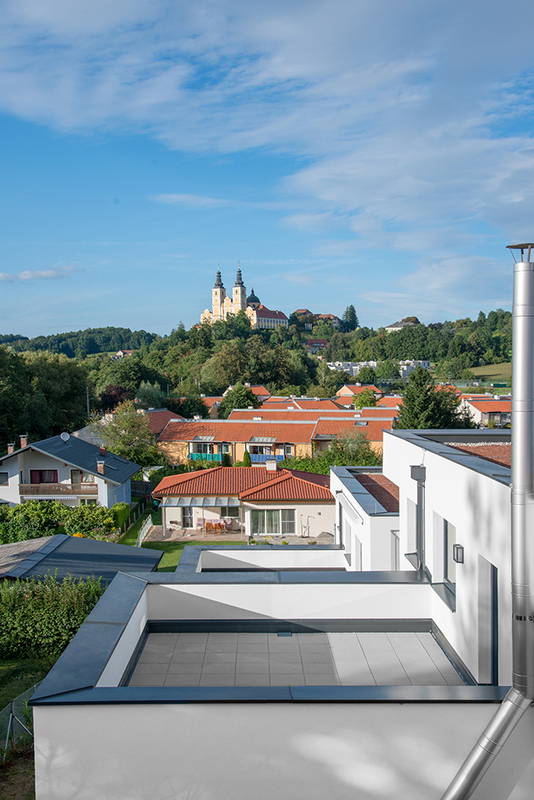 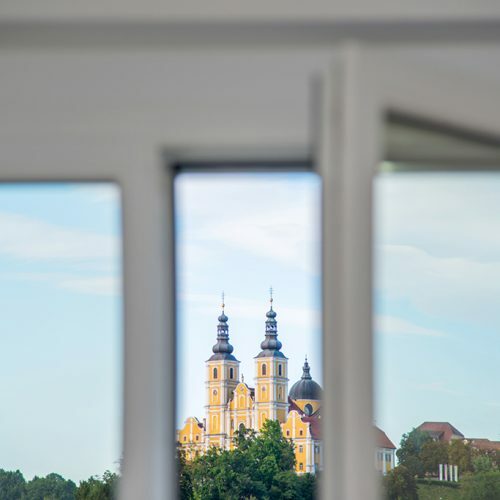 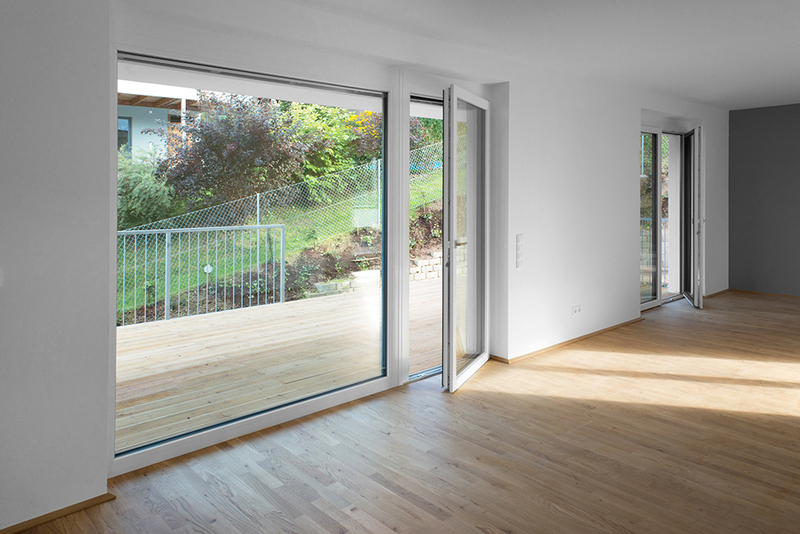 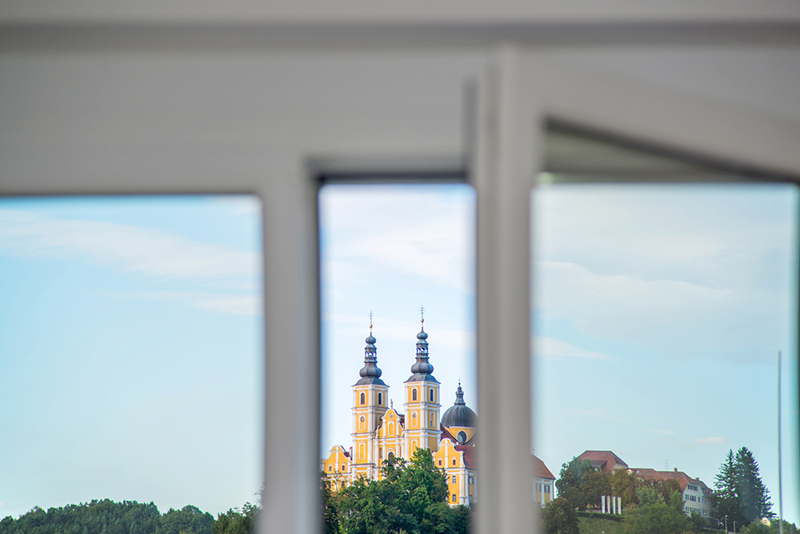 The property is located in a calm, green area close to the recreation area Leechwald with view on the Basilica of Mariatrost! 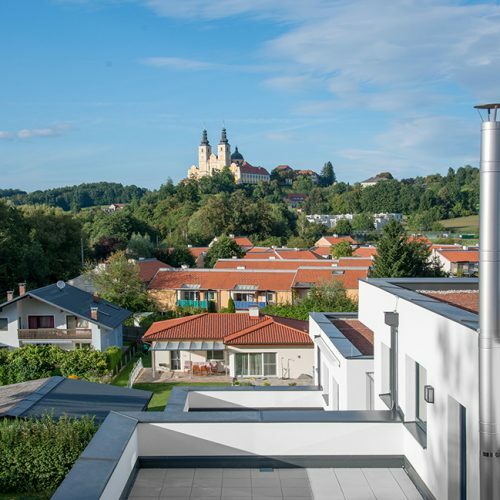 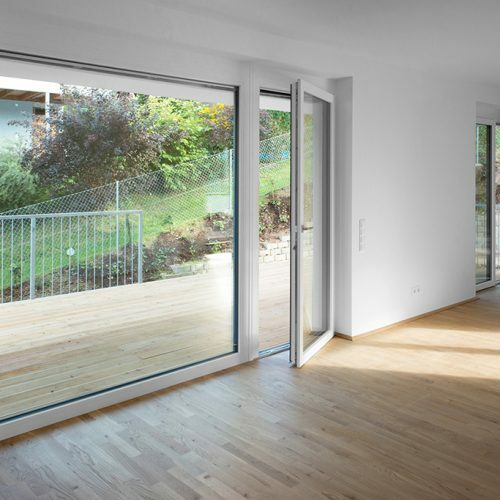 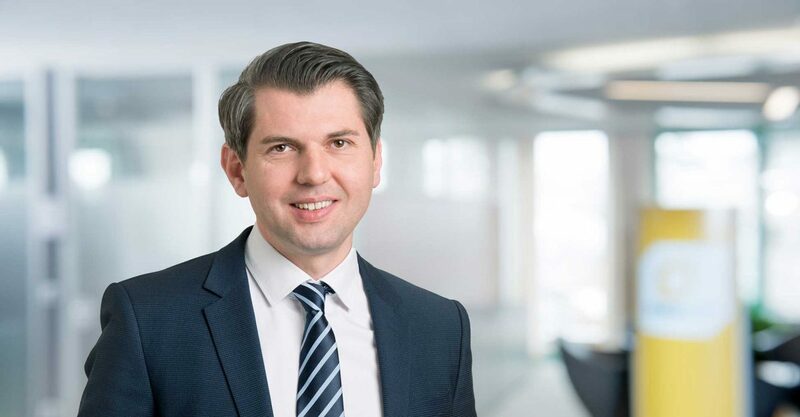 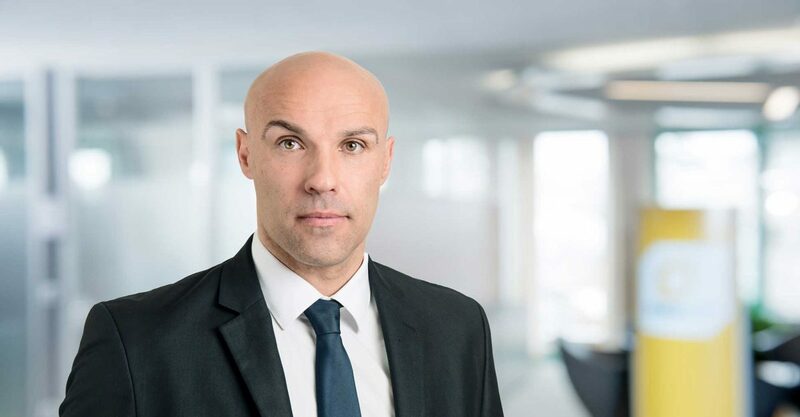 In addition to the tranquility of the surroundings, the district Mariatrost and especially the location of the building plot has a very low fine dust pollution being situated right within the fresh air corridor coming from the Schöckel. 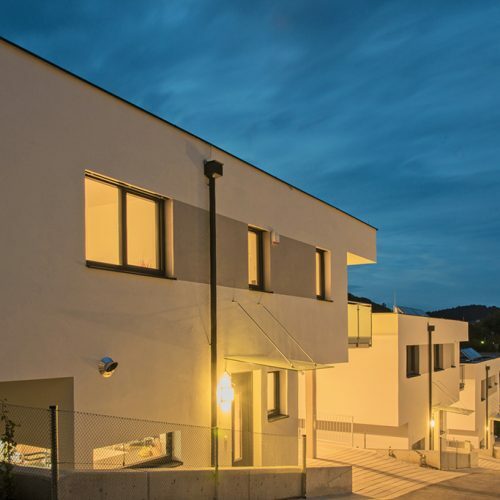 All infrastructure facilities such as public transport, schools, doctors, shops are in immediate vicinity and some even within walking distance. 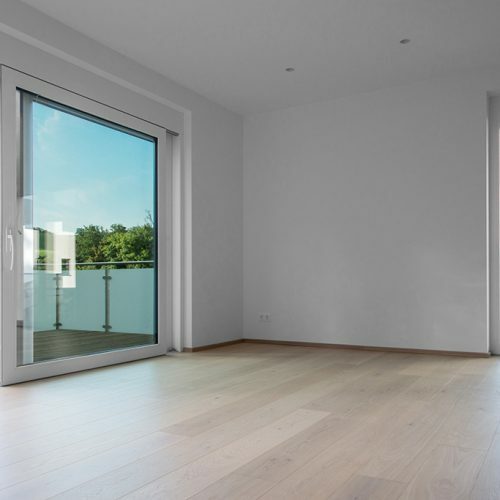 There are currently no buildings available!